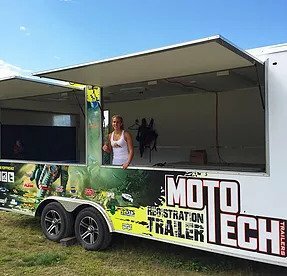 At Moto Tech Trailers we want you to feel right at home. With our toy haulers, we hope to make the riding experience for you much more enjoyable and to also build a long lasting relationship that will be kept for many years to come. Our Company - Moto Tech Trailers specializes in building a camper with comfort and quality in mind. We offer professional financial services that specialize in recreational equipment financing. They offer a safe and efficient finance process with tailored terms to dealers and retail customers in most states. We can help people with a credit score as low as 530 and the can help people with prior bankruptcy's. We can also provide rates on a trailer as low as 4.25% for qualified individuals. 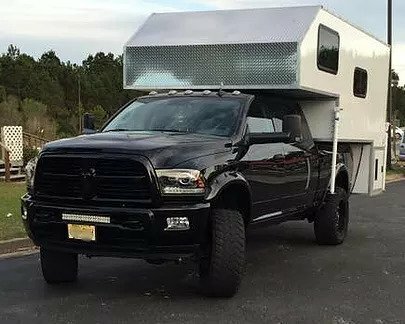 They make owning a Moto Tech Trailer much more affordable and help people out to get them in a Moto Tech Trailer no matter what the issue is. 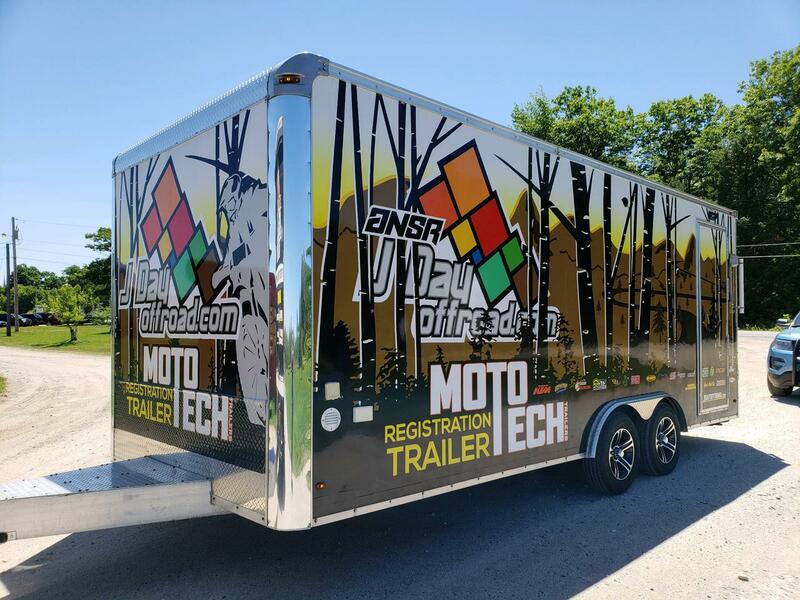 Our Toy Haulers- Moto Tech Trailers are built with quality in mind. All our toy haulers have an aluminum framework so they are very lightweight and very easy to haul around. The framework is 100% aluminum with a reinforced frame and walls with aluminum studs every 16". The exterior seamless paneling is made from fiberglass reinforced plywood and the interior is made of nylon reinforced plywood. Both materials are very easy to keep clean and are very durable, not denting or scratching easily like most aluminum trailers. All lights are bright energy saving LED's to make counter work or outside lighting the brightest it could be with the least amount of energy possible. MSR J Day Offroad GP Series is changing Off-Road as we know it. J Day offers an action packed off-road racing experience, but provides spectating and intensity of a Motocross event. Check out this sweet trailer Mr. J Day himself designed.